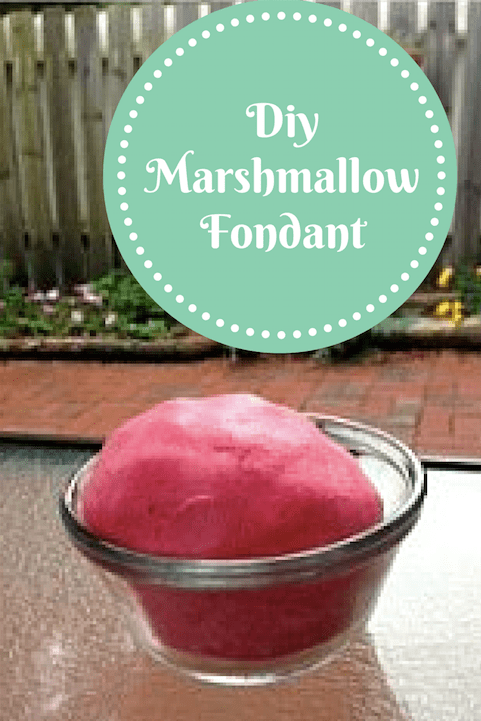 Making homemade marshmallow fondant is so much cheaper than store bought. Plus it tastes better in my opinion. This is recipe is super easy to do and you should have fun doing it. 1. Place marshmallows in a large microwavable bowl and microwave for 30 seconds on high. Stir and microwave again until smooth. Add water and vanilla into the melted marshmallows and stir until blended. 2. Slowly beat in powdered sugar, about 1 cup at a time, until you form a sticky dough mixture. Keep out 1 cup for kneading the dough. The mixture will be very stiff. 3. Dust your kneading surface with some of the remaining powdered sugar. Coat hands generously with butter and begin kneading the marshmallow mixture on the powdered surface. It will get easier the more you work with it. Keep adding powdered sugar until your fondant mixture is smooth and no longer sticky. This is when you can add coloring if you would like. 4. Roll fondant into a ball, cover with plastic wrap and place in the refrigerator for a few hours to settle. Remove when ready and allow the fondant to adjust to room temperature. Find all of your baking needs on Amazon for CHEAP! i’ve been looking for a good fondant recipe. ill give this one a try!